Min y Don is different to many other venues as most of the activities, including rock climbing, are located right here on-site. This makes safety and management of your group much easier and means lots of great activities can be packed into a week or less. Having most of the activities on-site also means no travelling for miles in a minibus or sitting in the bus eating soggy sandwiches! In between activities you can catch up with your group in the lounge, and enjoy all your meals in the dining room. Why choose Min y Don for your school residential? The Min y Don Team can occupy your group from breakfast until bedtime and we aim to take the pressure off group leaders by covering each part of the day with a structured programme leaving you free to get to know the children in your group even better. Min y Don has a 50 year track record of providing fabulous outdoor education visits for all types of groups and we specialise in school bookings. Both Centre Managers at Min y Don are teachers themselves and have years of practice in putting together programmes designed to suit your needs exactly. Schools bringing over 25 pupils generally have exclusive use of all the facilities which means you won’t have to share Min y Don with another group. This way we can tailor-make the programme to match your needs precisely. Teachers can enjoy separate rooms with en-suite bathrooms and tea/coffee making facilities. We also have a teacher’s lounge with TV and a small kitchen should it be needed. Many schools appreciate a visit to the school from a senior member of our team who, on request, will visit and give a presentation to parents, teachers and Governors outlining all that Min y Don has to offer. A number of our regular visitors have a pre-visit presentation to parents before the school arrives. This helps tremendously with reassuring the parents before the children embark on their week of adventure! 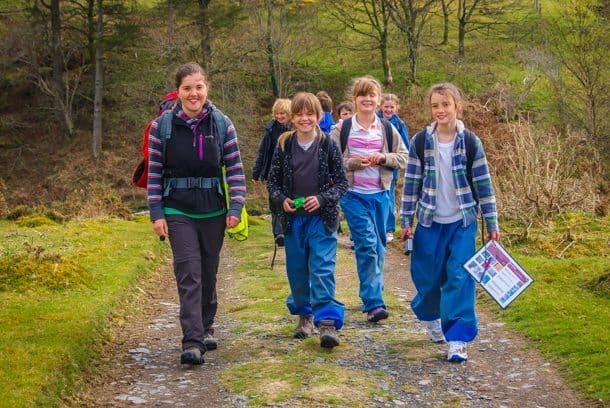 By way of reference, we are happy to provide details of schools that use us as a regular venue for their residential visits and welcome teachers, parents and Governors coming to view the site as a potential location for their children to spend their adventure week. 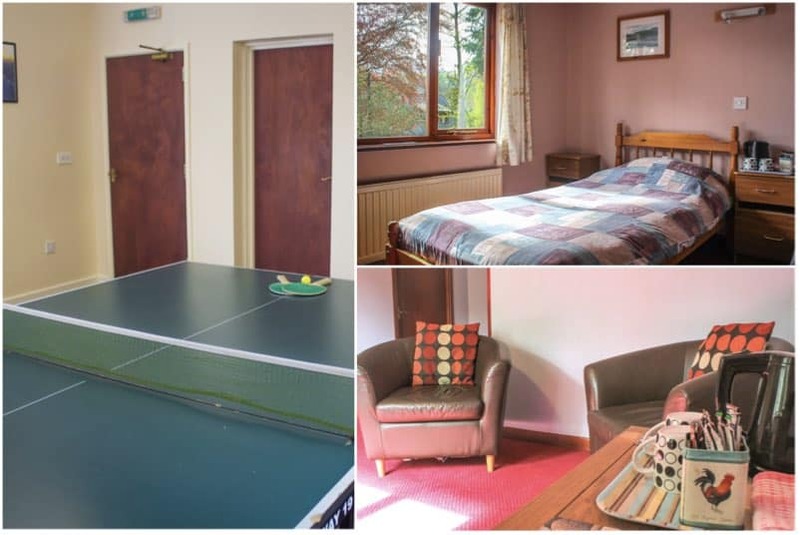 A typical stay at Min y Don would include all activities, instruction, equipment, accommodation and meals as part of the cost. There’s no hidden extras! Most schools come for a Monday to Friday visit, but shorter stays are possible. Your activities begin the afternoon you arrive and continue right through until the morning you leave Min y Don. A packed lunch is provided on your last day for you to either eat here before you leave or to take with you on the journey home. 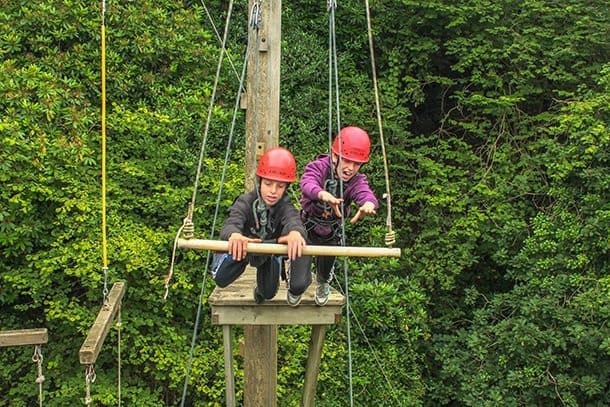 We have a wide range of activities for you, from canoeing and high ropes to orienteering and treasure hunts, as well as a fantastic selection of evening wide games and excursions to all the exciting places this wonderful part of Wales has to offer. 07.00 - 09.00 Wake up after a good night's sleep, shower, and get ready for breakfast. This is the time you'll make your packed lunch, and look forward to a day of fun activities! 09.15 - 12.30 Morning Activities: Usually 2 activity sessions with a 15 minute refreshment break in between. 12.30 - 14.00 Dry off & clean up. Time for a tasty packed lunch to give you lots of energy for the afternoon! 14.15 - 17.30 Afternoon Activities: 2 more exciting activities with a 15 minute refreshment break. 18.00 - 19.00 Time to eat again! A tasty 2 course meal in our dining room, with a different menu each day. 19.30 - 20.30 Everyone gathers for a fun evening game. A different one each evening - either in the woods or the main grounds. 21.00 - 21.30 Epilogue in the lounge. Songs, games, a talk and drink before it's time for bed. Ready to enjoy it all again tomorrow. Great! Here's some more information about School Visits for you. Download our Teachers Pack now – with everything you will need to help plan and prepare for your visit to Min y Don. It contains Parental Consent Forms and Kit Lists to distribute to your pupils, Further Information, an Activity Choices and an Accommodation Planner for you, Directions on how to find us, as well as some extra pieces of important information for you too.